The road to business is paved with good intentions. Each company wants to do things differently, achieve more for less and be as successful as they can. While they are understandable aims, it usually means the boring and more practical elements are pushed down the list, despite their importance. None more so than data backup and recovery, which is something that is crucial for every business now, thanks to the reliance on digital services. When thinking about this, the mind usually conjures up images of malware and ransomware attacks, but it’s the more mundane events like hard-drive failure that can be a real gut-punch to a business. If that happens and you don’t have backups, you’ll be in serious trouble. “We still have a lot of people who don’t fully appreciate the importance of having proper backups,” said Michele Neylon, chief executive, Blacknight. “It’s one of those things, like we’re all used to wearing seatbelts in cars, but in the 1970s they were a new thing, they weren’t the norm. “Nowadays, when people get in to the back seat, they’ll put on a seatbelt, whereas a couple of years ago seatbelts at the back of a car were a weird thing that happened to be there. With GDPR in effect, businesses should be acting more responsibly with their data, yet the rate of data accumulation is only going to grow. As we become more reliant on digital products, internet speeds become faster, and files grow in size, businesses will need more space to store backups, and providers will have to keep up. “The issue in a lot of data storage now is you need more of it,” said Michael Conway of Renaissance. “It’s like having shelves in a house, you keep buying stuff and acquiring stuff, so basically with data we’re absorbing a lot of it. “If you look at the average laptop, a terabyte is quite common and certainly half a terabyte is more than common. If you look at your average smartphone, 128GB, 512GB, you’re getting bigger and bigger storage. While it’s a growing concern, much of the issue is the lack of appreciation for backups and their usefulness. While it does require a process to set up, the understanding mightn’t be there, which is why it’s important not to get bogged down by jargon or buzzwords when stating its importance. 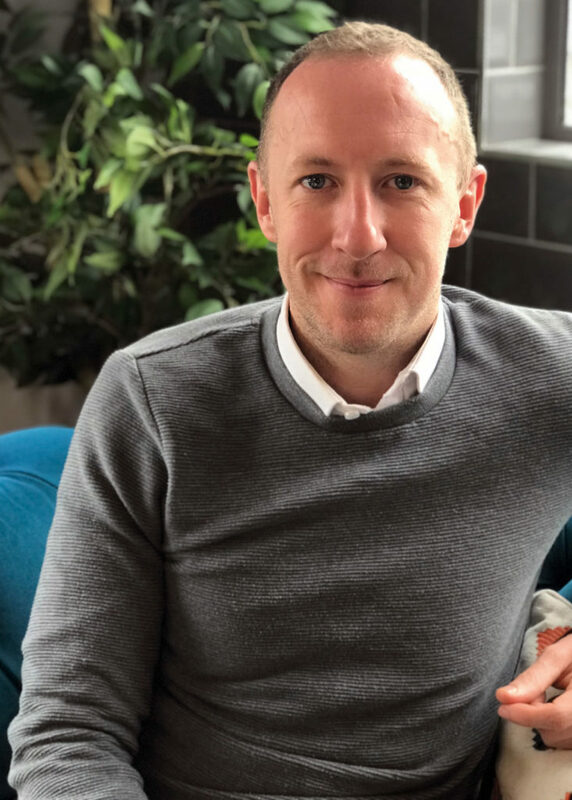 It’s a sentiment backed up by Darragh Canavan, the sales director of DataString, who says creating awareness of a company’s needs and obligations can be a challenge. 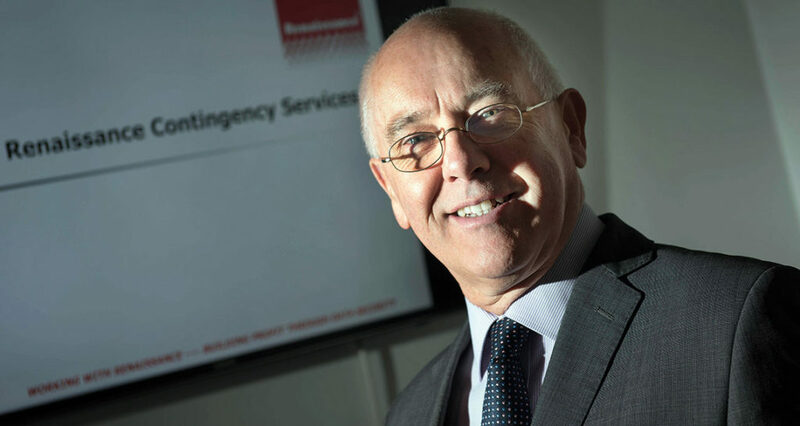 “It’s trying to create that awareness and that realisation to end users that you need to have a copy of your data off-site and it’s surprising how many companies don’t understand their obligations in that area,” he said. 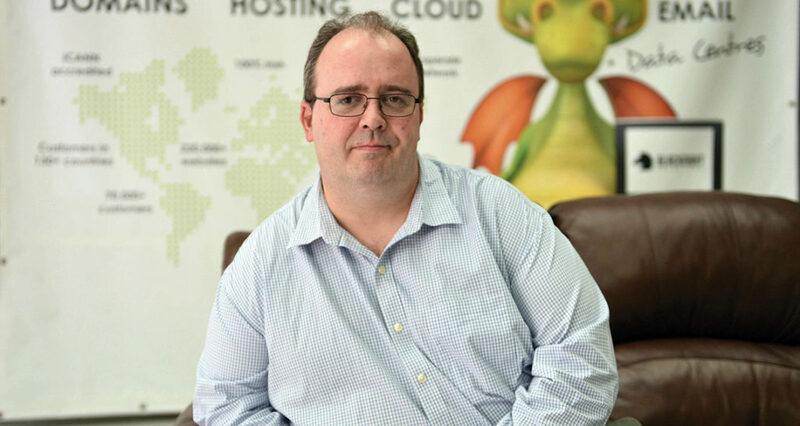 “It’s really surprising and 40 per cent of businesses in Ireland use some kind of cloud backup or online backup service. For the other 60 per cent, it’s very difficult to tell. We see a lot of companies which are literally doing their backup to a disk or hard drive or tape and subsequently they’re not meeting their requirements under the data protection acts or GDPR”. “The biggest trends we are seeing are the growth in the volume of data, expansion of the types of data and an acceleration in the speed at which data is being generated,” said Declan Hogan, head of industry segment sales, Hewlett Packard Enterprise Ireland. When you start delving into the process of data backup and recovery, it becomes a little clearer why some mightn’t jump into it. For one, there are a variety of options out there for businesses to avail of and because of the different needs and wants of each business, it’s likely that one will end up with a variety of different data storage methods. “People are going to end up with what we call a multi-cloud environment, that’s what we’re seeing,” said the enterprise sales director of Dell EMC Catherine Doyle. “Where you have some on-premise and some in the cloud, that’s now maturing as a way of operating whereas, for a long time, it was we’re going to the cloud fully or we’re not at all, but the reality is it’s going to be both. “What most customers are trying to do is to figure out how they can provide that as a service-type model that you get in the cloud on-premise and manage the cloud from your premises. 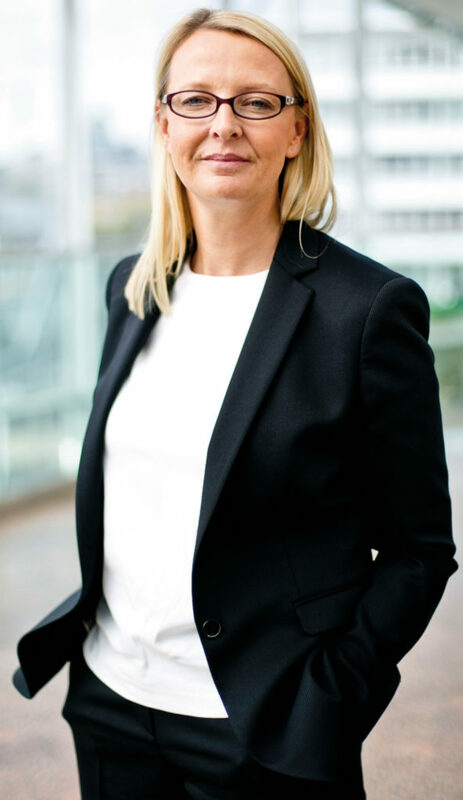 Carmel Owens, general manager for Sungard AS Ireland, says that the option of managed services is becoming increasingly popular with businesses that are pressed for time and resources. “From a more managed service outsourcing type of view, what we’re seeing is customers are looking at managed storage options,” she said. “Data is not going away so it is growing, it’s labour intensive, it’s hardware intensive, it’s expensive to maintain that estate and grow it. Owens said that part of the reason managed service providers were growing in popularity was the tedious nature of backups. It requires regular maintenance and sometimes multiple backups depending on the data covered to ensure everything is covered. “For a lot of companies, backup is pretty tedious,” she said. “It has to be done though so it’s absolutely crucial to see that in place, so that’s what we’re seeing, companies want to focus on the higher value services so they want to leave the management of infrastructure and particularly data storage back up [to a partner]. Backing up your data can be one headache to deal with, yet the other side that must be considered is what the legal parameters are when storing your data. Conway said that this can be a double-edged sword, while it can lead to greater prosperity, it does require businesses to be responsible with it. “Data has been described by some people as the new oil and others as a liability because if you have data, you have responsibilities so it’s great to say the more data you have, the more valuable the organisation is, but actually the more data you have, the more liabilities your organisation has because there’s more risk associated with that. That’s where housekeeping and good processes come into play. But some businesses haven’t realised that yet. “Storage of data is a great thing, but it’s a liability because now you have to worry about it,” he said. “Some people will take the view that they’ll only keep data for as long as they have to keep it . . . but the reality is if you look at mailboxes, everything gets bigger and bigger. It’s a sentiment that Hogan echoes as well with new requirements being placed on businesses to meet these demands. “In line with the trends of increasing volume, variety and the velocity of data being generated, companies relying on data storage are being challenged to implement storage management policies to meet these new requirements,” he said. While making the move is an important first step, there are some important factors to consider when you’re choosing a provider to partner with. It’s recommended you assess what exactly your business needs are. “If a customer has decided they’re going to migrate to the cloud, stick their backups into the cloud . . . and run our entire infrastructure in the cloud, the number one factor is who are these people who we are about to hand off our data to,” said Canavan. “How long have they been in the industry, what’s their experience, what are their credentials and so on. “The second factor should be location of data, so is it going to be a cheap data centre in India or is it staying in Ireland, that can be a big one for people. “Then the third factor — which is often overlooked — is who’s going to manage and monitor these backups because backups need to be watched and they need to be checked daily. In our case, DataString is a fully managed and monitored service. “We stand over the backups on a daily basis, report all the issues back to our customers and proactively support all the issues, but if that’s not being done, it falls into the end-users’ hands and it can become an absolute nightmare. Hogan mentions a similar methodology for choosing a storage provider, saying the key factors are performance, RAS (reliability, availability and scalability), cost-effectiveness, and supportability. “In terms of a storage provider, businesses should look for a provider with a comprehensive storage range including switching and backup,” he said. “It is also an advantage to work with a provider who can provide a comprehensive solution across compute, storage and networking. The other potential issue is the direction data storage will go. At the moment, the cloud is the big buzzword tossed around, but you do have to delve a bit deeper into what you’re using it for and what your requirements are. If you don’t properly plan, you can end up having to change regularly, adding new stresses to what you already do. 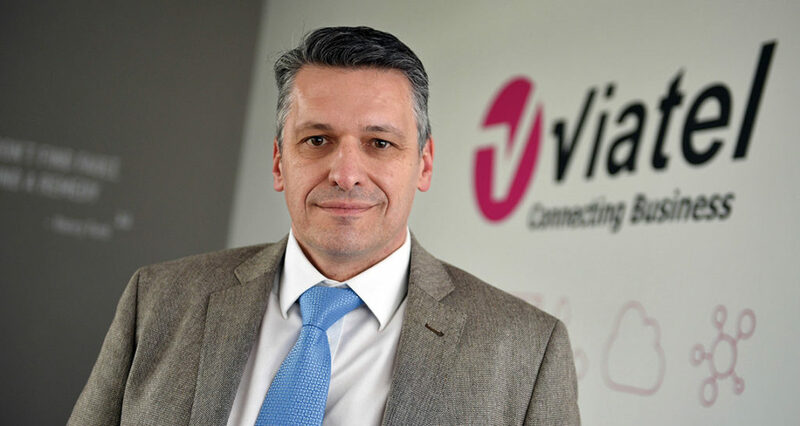 “Businesses today are changing much faster, so probably what you want to do is predict what you want in three years time because the storage is growing,” said Antonio Pogliani, the chief technology officer of Viatel. According to Doyle, most people will change when the need arises, not because it is change for the sake of change, but because they’ve reached the end of its lifecycle. “It’s a natural refresh so people aren’t going to replace what they already got. If something needs to be replaced, when you go to replace it, then you implement the new stuff so it just takes that period of refreshing for it to become more mainstream and they reckon 2020 will be when that will happen,” she said. The best way to treat storage and backups is as a core, integral part of the business and not something that you tack on later. As mentioned before, the growing dependence on digital products to house data means you need a safety net or two to ensure that, when the worst happens, you’re able to cope with it. Treating it as an optional entity does not help a business in the long run and knowing what’s happening, how often your data is backed up, where it’s backed up and how long you’re going to keep said data for are vital elements for any business to consider. If you haven’t already, then you’re only setting yourself up for failure. With all the talk of getting people to back up data, one aspect that can be easily overlooked is the management. It’s not enough to just back up data and leave it at that. The frequency, the range of data covered and where it’s stored are vital components as well. “The other things with backups is management, making sure the backups you have, the frequency of them is sufficient that you don’t miss out on critical data,” said Michele Neylon of Blacknight. “Depending on what you’re doing, you might want a situation where you have a backup every hour hypothetically. “Depending on what you’re working with, what kind of retention period do you have, how far back do you go? Sometimes we see with websites that they have, for example, fallen out with a developer, so they go back and screw around with what’s there, or a device somewhere in the office gets infected with a virus. As with any technology, the rate of change happening in the area increases with new standards and features coming into play. One big change that’s coming into play in the storage world, according to Catherine Doyle of Dell EMC, is MVNE (Mobile Virtual Network Enabler). This is when a company provides network infrastructure and related services to ensure other organisations can offer services to their customers. It’s something that Dell EMC itself is incorporating into its own products as it removes potential speed bottlenecks and increases performance. The benefits go beyond speed. For one, analysis and automation can be incorporated into these services, giving them greater versatility. “Because of that, we’re then able to put some machine learning into the system so the system starts to learn your environment, not just cache-type, but proper learning of how things work and building intelligence into the system to help deal with that and on top of that, the automation layer that we’re now building into this management around storage will enable everyone to move in and out of the cloud.